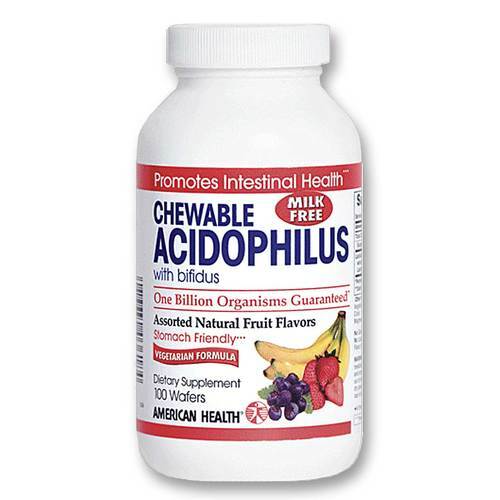 American Health American Health Chewable Acidophilus Wafers are great tasting vegetarian probiotics for digestive health. 警告: If you are pregnant, nursing or taking any medications, consult your doctor before use. Discontinue use and consult your doctor if any adverse reactions occur. 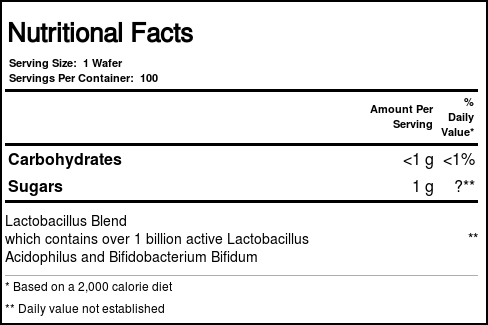 注意事项: Free of gluten, yeast, wheat, milk or milk derivatives, lactose, soy, egg, grapefruit, preservatives, artificial color, artificial flavor or sodium. 推荐用法: As a dietary supplement, one (1) to three (3) wafers daily, or as directed by a health professional. Refrigerate after opening.